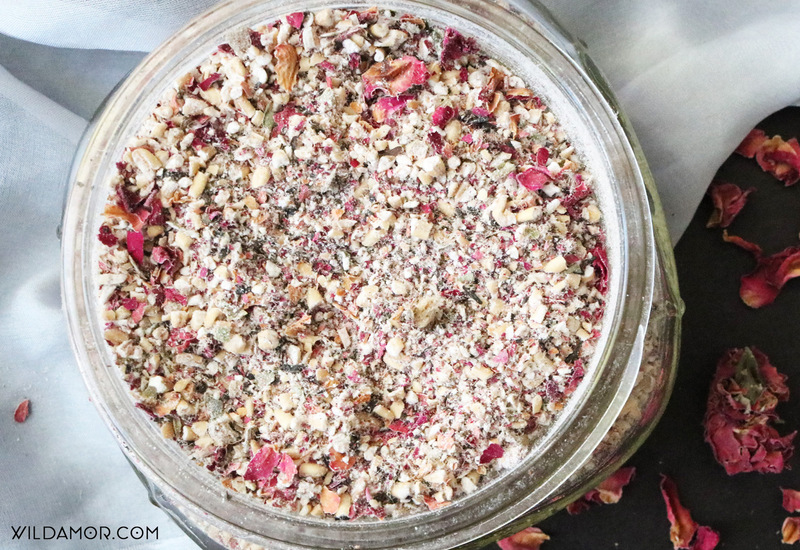 This DIY rose earl grey scrub was born out of my two latest obsession: rose-infused things and earl grey tea. There’s something so soothing about the scent of roses, especially in tea or candle form. And then there’s earl grey, a tea that has managed to replace my coffee addiction. (There, I said it.) It’s even gotten to the point where I no longer drink coffee every day. And as someone who is known for not being able to function without a cup of joe… that says something. And while I still love the occasional coffee, the aroma of earl grey is something else. 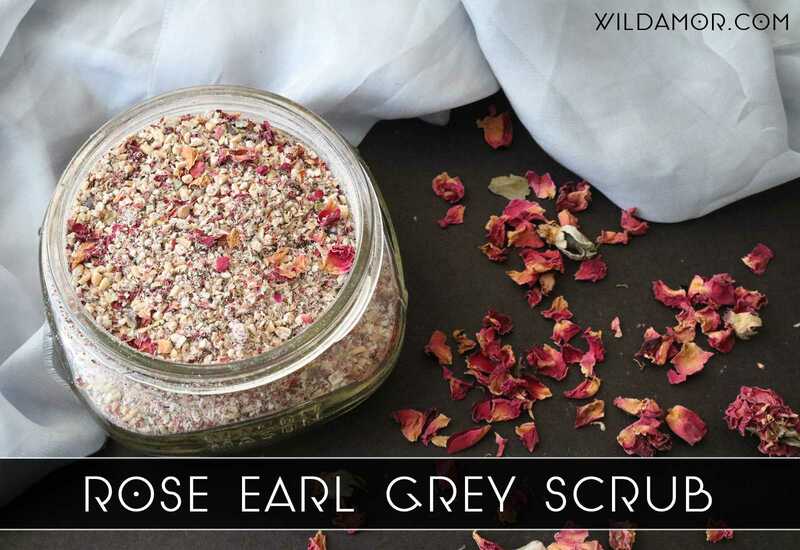 So you can imagine how much I adore this rose earl grey scrub. Let’s count it is a Galentine’s Day gift to myself. The best part? It can be used for both the face and body. It can even be applied as a face mask, which is my personal favorite way to use it. Here’s how to make versatile yet simple scrub! 1. Grind the oats. I prefer working in batches for this step. You can pulverize all of the oats into a fine powder or grind some “halfway” for a mixture. 2. Grind the rose petals. 3. Mix with the ground oats, petals, and earl grey tea. Mix together. Rub into your face with a gentle circular motion. Rinse and pat dry. Mix and apply to face. Leave on for 10 to 15 minutes then rinse off. Pat dry. Mix and rub on to skin using a gentle circular motion. Focus on the elbows, knees, and feet. Rinse off. Obviously, you can mix and match these ingredients according to your preference/skin needs/what you have on hand. For example, I personally avoid using coconut oil on my face since it makes me break out. But it could be awesome for you!